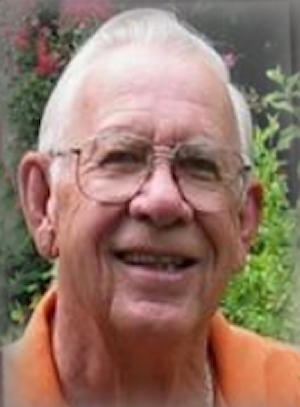 Obituary – Hussey, Henry Ferguson “Ferg” « Perry High School Alumni Association, Inc.
Football 45-48, Basketball 45-47, President Sophomore Class 45-46, Student Council 46-48, Teen Town Council 46-48, Perryscope 47-48, Wrestling 47-48, Annual Follies 45-46, 47-48. Henry Ferguson “Ferg” Hussey passed into the arms of his Heavenly Father on October 24, 2013, after a short battle with cancer. 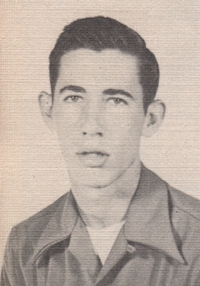 Henry was born to Henry, Sr. and Lida Hussey on January 4, 1930, in Frederick, OK. At age 12, he moved to Perry. He graduated from Perry High School in 1948. Following high school, he joined the Navy and served his country in Korea. He attended Oklahoma A&M and became a member of the first graduating class from Oklahoma State University. He married Lavina Swart on August 28, 1954. He worked for the Oklahoma County Sheriff’s Office and later for the U.S. Federal Probation System, retiring as the Chief Federal Probation Officer for the State of Oklahoma. He retired in 1985. He and Lavina moved to Stillwater, where they both lived until their passing. Ferg was an avid golfer and loved to travel, especially to Branson. He loved being with his family and took great pleasure in visits from each of his children and grandchildren in his last few weeks. He was preceded in death by his parents, Henry, Sr. and Lida Hussey; and his wife, Lavina, in 2004. He is survived by one daughter, Jan Pratt, and her husband, David, of Stillwater; one son, Scott, and his wife, Nancy, of Houston; four grandchildren: Brian Pratt and his wife, Erin, of Mustang; Kristi Bryant and her husband, Chase, of Stillwater; Lauren Hussey, of Burbank, CA; and Taylor Hussey, of Houston; and four great-grandchildren: Carson and Isaac Pratt, of Carrolton, GA; and Jackson and Emma Bryant, of Stillwater. He is also survived by his lady friend, JoAnn Palovik; and many other friends in Perry, Stillwater, Oklahoma City, and around the country and world. Services will be at 10 a.m. on Monday, November 4 at the Strode Funeral Home Chapel in Stillwater. Interment will follow at Grace Hill Cemetery in Perry. Memorial contributions may be made in his name to Judith Karman Hospice at P.O. Box 818, Stillwater, OK 74076.